Combined Arms Virtual Environment, Virtual. CAVE, Combined Arms Virtual Environment is a training system installed by Battlespace Simulations, Inc. Click here for more information. See the US navy's new simulator in vr! 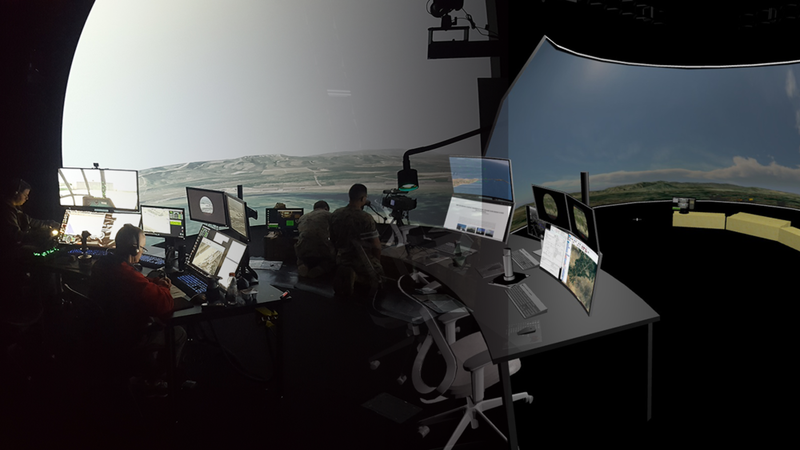 The CAVE, Combined Arms Virtual Environment, is a Joint Fires Simulator that was delivered to the US Navy at three training locations. The system uses an immersive dome to simulate the battlefield environment. It is used to train personnel responsible for coordinating air power, artillery and naval surface fire support. If you have JanusVR installed, navigate to this website to view the simulation. Otherwise, click below to see in JanusWeb. Use W,A,S,D to move, your mouse to look. Press ESC to leave the window.